Hello friends! Today I am going to share with you a DIY banana facemask that helps to calm and clean your skin. Bananas are packed with potent nutrients to remarkably diminish the appearance of wrinkles, and make your skin look younger and radiant. Honey has skin-lightening properties. 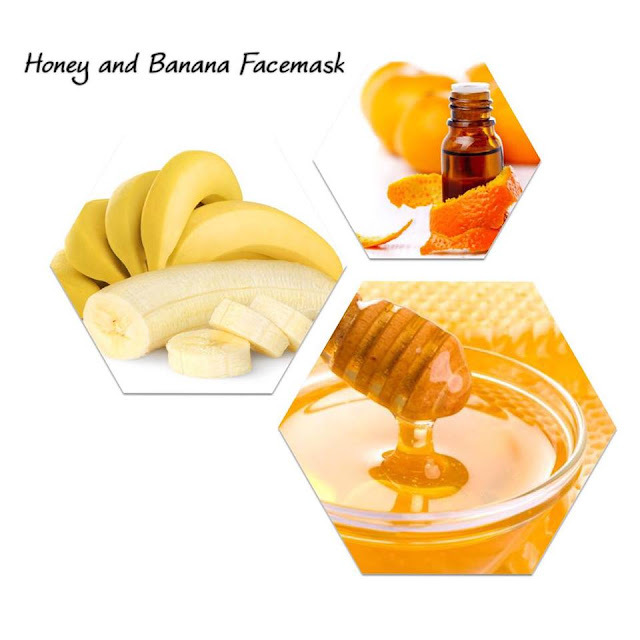 It kills bacteria and prevents acne and pimples. It also moisturizes skin without making it oily. The orange essential oil is good for nourishing dry and irritated skin. 1. Mash up the banana with a metal spoon in a small mixing bowl. 2. Add honey and the essential oil to the mashed banana and mix well. 3. Apply the mask to the entire face, and let sit for 20 minutes. 5. Pat dry with a clean soft facial towel.